Libby on the Label: #52 Ancestors Week 31 - "Oldest"
#52 Ancestors Week 31 - "Oldest"
Finding an old letter is like hitting the jackpot. Most of the time the letter writer never imagined that their correspondence would find a captive audience hundreds of years later. Sometimes the chatty bits offer more clues than official documentation. One can see that a family member moved around the world, but a Passenger Manifest offers no insight about the motivation for the migration. A letter inquiring about my great great grandfather, who had gone missing, proved more insightful than any of his paper trail. He was the focus of Week 26's post "Black Sheep" . Recently I found the "oldest" letter, which was intended to be passed down from generation to generation. This week's prompt led me back to the Willard family tree branch. I wrote about the friendly, inclusive and knowledgeable Willard Family Association here. I have ancestors with Willard as a middle name and first name, stemming from my father's maternal line. There weren't any stories handed down about the Willards that anyone living can remember. My great grandmother's name was Eunice Willard Little. She was the last anyone knew of with that name. 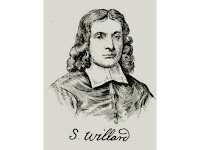 I joined the facebook group for the "WFA" and together we figured out my connection to Simon Willard (pictured), who immigrated from Horsmonden, Kent, England to the Massachusetts Bay Colony in 1634. It was relatively easy because from Eunice Willard's father on back, all my antecedents were male. To my children, - for so I call you, though belonging to different generations, - listen to my words of instruction, warning, and advice. It is my privilege and my duty to hold converse with you, as I have been constituted by our heavenly Father, the founder of a numerous race on these Western shores. 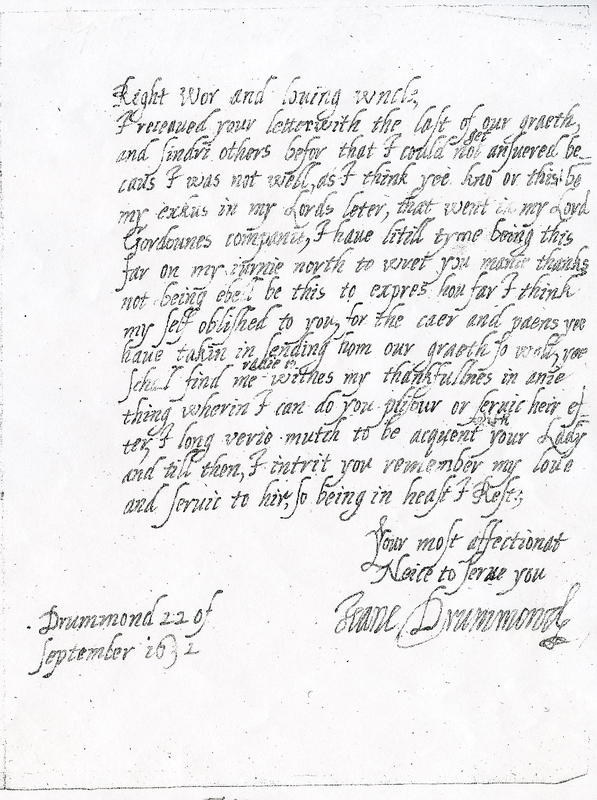 Born before the settlement of Jamestown and Plymouth, and of an age to remember the voyage of the 'Mayflower,' - the news whereof was brought even to my retired village of Horsmonden, - I was permitted to live through an important epoch, when great principles were in discussion, the settlement of which would affect future generations in the establishment of justice and right, or the perpetuation of wrong under forms of law. You would honor my memory, and are very free in expressing veneration: but if you would honor me aright, if you feel the veneration you express, show it by your deeds; by reverence of that which is higher and holier; by doing all your duty actively and earnestly in your generation; by adhering to the old paths of justice, faithfulness, and holy trust; by sincerity in belief, abandoning all Antinomian heresies as you would the other extreme of dead formalism; by being bold for the right, modestly and firmly maintaining your opinions, whether called to public station or in the more private walks; following no man and no cause because of popularity, shunning no man and no cause you believe to be right because of unpopularity or reproach; but avoiding the parasite and self seeker, and standing bravely by your own convictions. Thus did my son, even Samuel, in the time of his pilgrimage, when he set himself in opposition to the greatest delusion that ever visited this land, subjecting himself to great trial in the coldness of friends, and the harsh judgment of an entire community; but, unmoved in his purpose, sustained by his conscientious view of the right, calmly awaited that revolution in sentiment which at once was the earnest and reward of his long and patient suffering. His son, Reverend Samuel Willard, a devout Puritan, was instrumental in ending the mass hysteria known as the Salem Witch Trials. Here is an account of what brought him to this position. The photo from the Massachusetts State House Mural is "The Dawn of Tolerance in Massachusetts. Public Repentance of Judge Samuel Sewall". 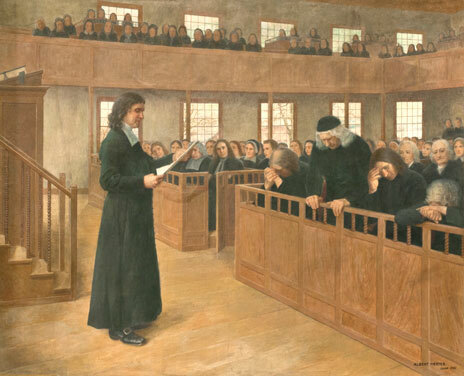 It is Reverend Samuel Willard reading the Judges' apology. That is why it is Thursday, and I'm finally getting around to posting for the week! The letter was published in the Willard Memoir; Life and Times of Major Simon Willard, 1858, by Joseph Willard. You can read the entire book here. Don't you just love the internet? As it turns out the "Letter" was written by the book's author circa 1858. After years of exhaustive research, he felt a strong enough bond to imagine Simon Willard's words, as he states in the Conclusion of his memoir, here. 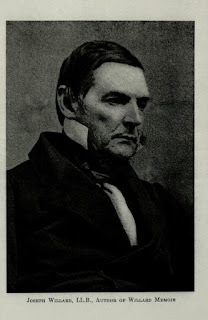 This letter has been widely disseminated to be the words of Simon Willard. Not so!